A lot of the roses that are grown in Wisconsin are roses that are grafted onto stronger, cold hardy rose root stock. Often the stronger rose branches will start to emerge from the rootball and start to take over the roses you wanted originally. These roses branches are called sucker roses. In order to get rid of them you need to follow the branches all the way down to the bud union and twist and pull off these branches. If you cut them off it will only encourage the sucker roses to grow even more, so instead you need to off the branches. 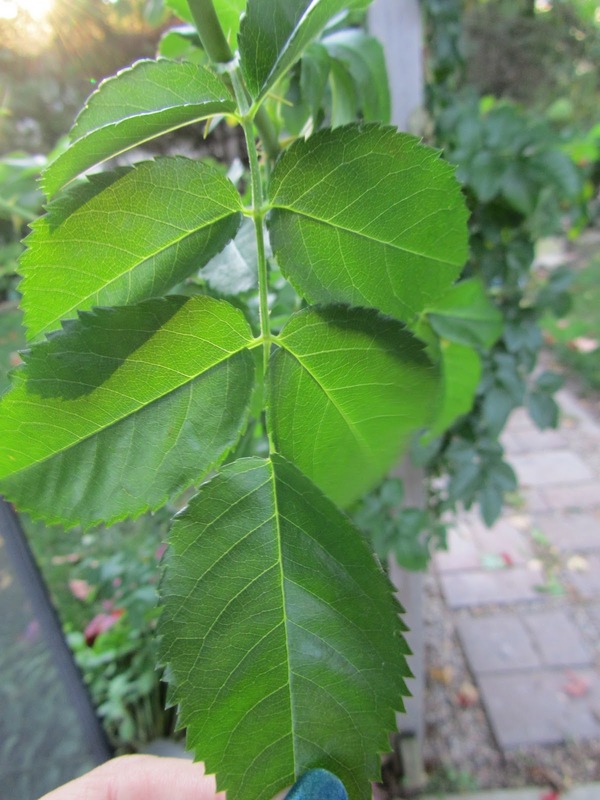 How can you determine if you have sucker roses? Sucker roses often grow much faster then the original roses you bought. The leaves are usually colored differently, and some times they will have a different number of leaves from the original roses you bought. Climbing Roses from my yard. William Baffin and John Cabot are winter hardy climbing roses. This leaf segment has 7 leaves. 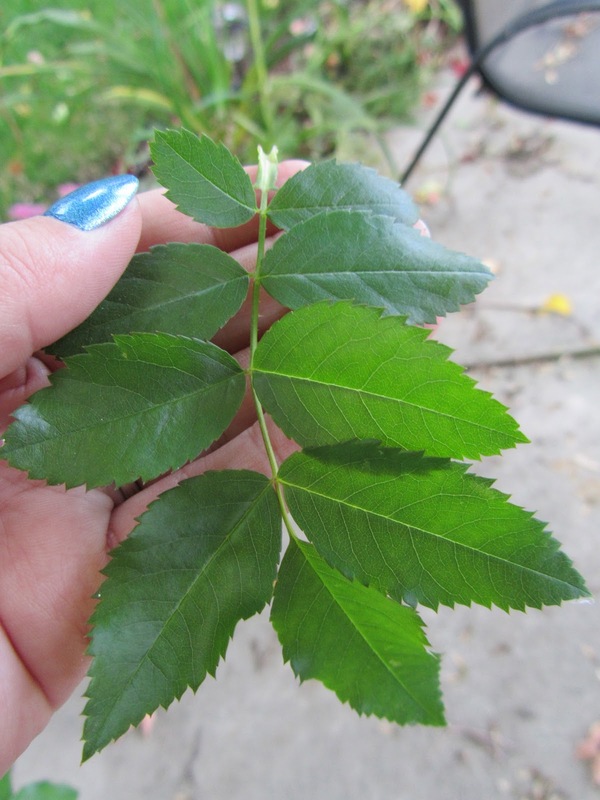 This leaf segment from sucker roses has 9 leaves. Notice the color difference, the sucker roses are a lot lighter in color.